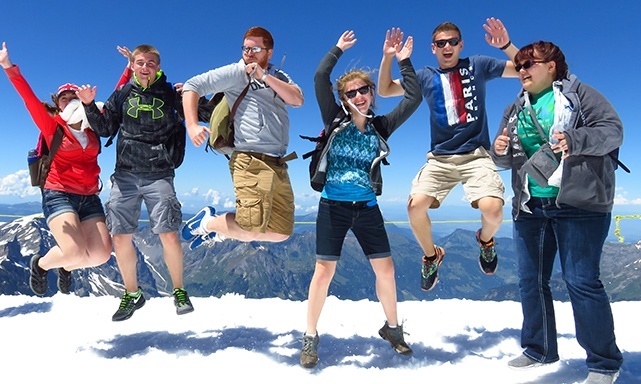 Jumpstreet Tours will help you make student travel an integral part of your world. For almost 3 decades, we've delighted language teachers and their student groups with thoughtful and immersive class trips. We've carefully crafted action-packed itineraries and trained our bilingual Tour Leaders to bring out the best in your experience. We'll serve your specific needs by tailoring a trip that you can call your own - while of course being enriching, fun, affordable, and safe. By taking 15 seconds to fill out this form, you'll gain access to our International Catalog. It's packed with information about our services, our destinations and pricing, teacher testimonials, and exclusive trip-planning resources that will help you stay organized and energized. Travel with Jumpstreet Tours and your efforts will be rewarded! Thanks so very much for organizing a wonder-filled trip. I have taken many school trips with various travel companies but none were so well done in every way. The flights, hotels, and meals have never been better. I am already looking forward to our next trip.